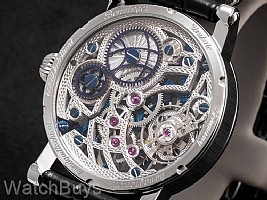 This is an amazing new watch. The new Subscription Exposed Skeleton Blue by Jochen Benzinger is the most recent addition to his remarkable Subscription collection. 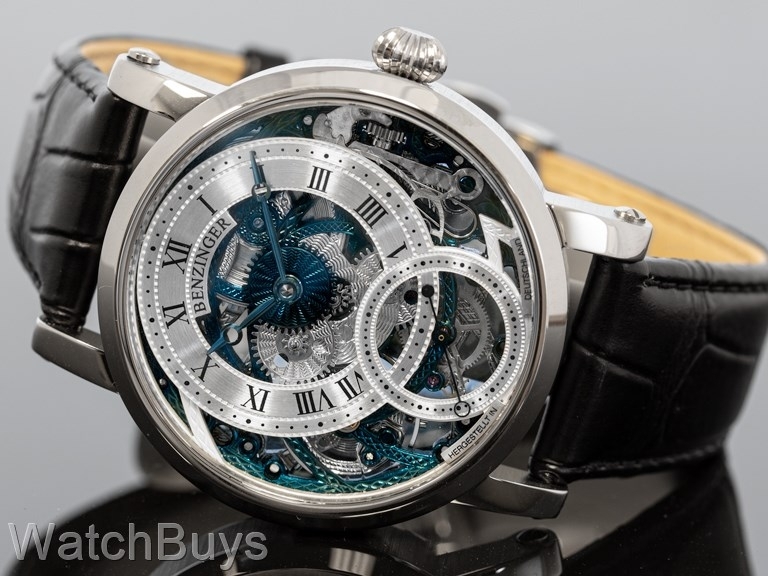 With this piece, Jochen combines a hand skeletonized dial with a highly decorated and hand engraved movement to create a watch that is ornate, yet refined. The sterling silver dial has been designed so that the hours and minutes are relocated to the top while the seconds are shown via the sub-second display at the bottom, which is characteristic of the Subcription collection. 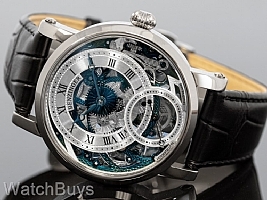 The sterling silver dial features a chapter ring with Roman numerals and the entire dial has been skeletonized to expose the platinum blue plated and the meticulously hand skeletonized movement.